Hope you are enjoying your weekend I certainly have been enjoying mine. 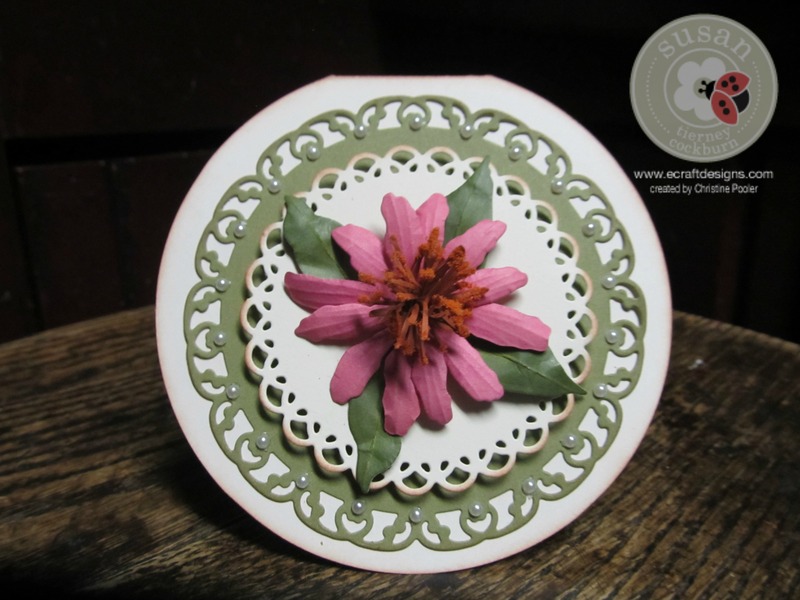 Today my post is a round card with one of Susan’s Garden Coneflowers on the front. I had made the flower the other day and today I decided to make a quick card using it. I do hope you enjoy your Sunday no matter what you are doing.